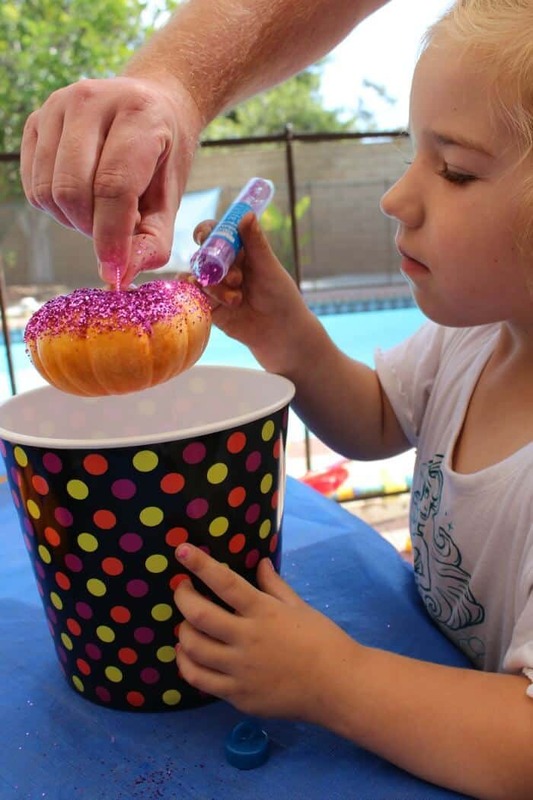 How to create the a fun glitter pumpkin with kids. 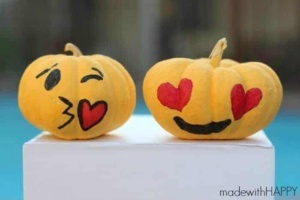 Alternative to carving pumpkins! They are pretty simple to make and the impact is outstanding. 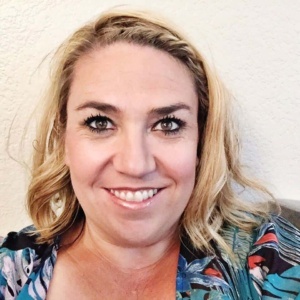 This is a great project to do with the kids. 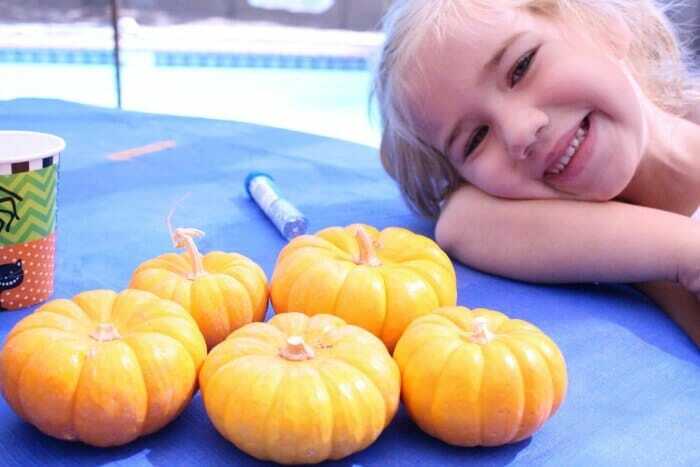 We found a bag of the small pumpkins for a dollar or two at Walmart. 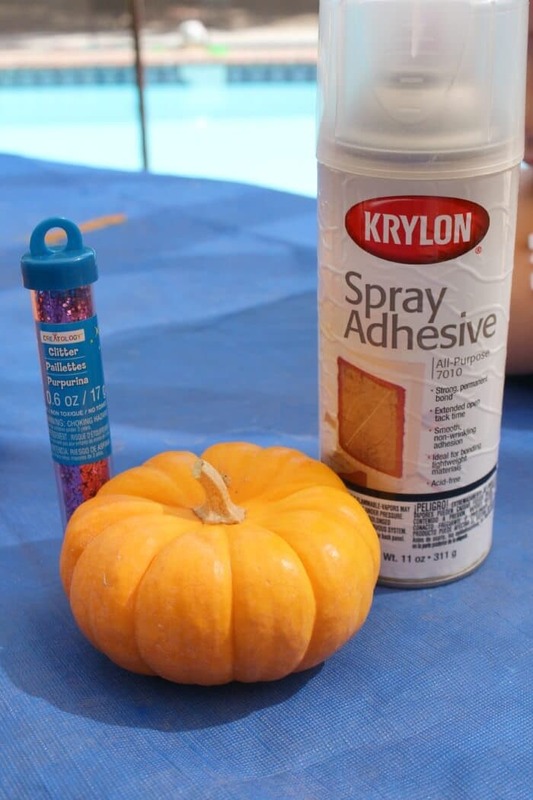 Spray the pumpkin with the glue. 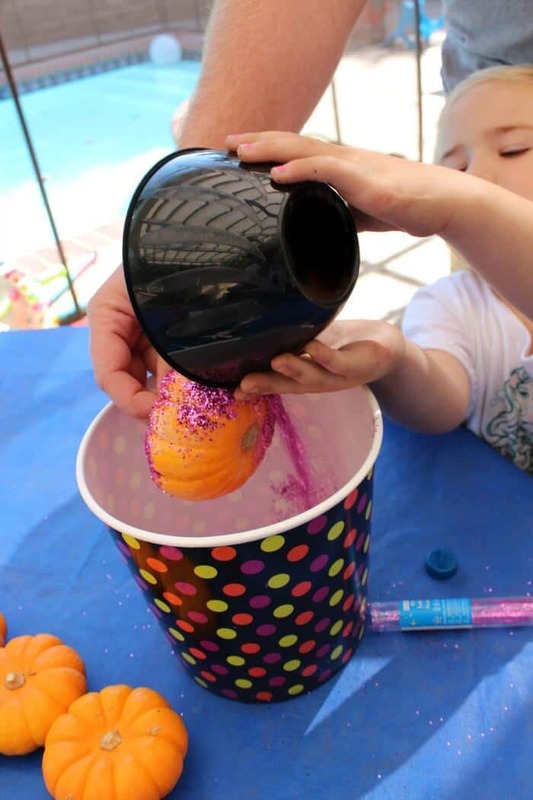 Then holding over a bowl pour the glitter onto the pumpkin. 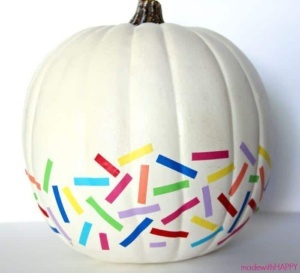 You may need to re-pour the excess glitter back over the pumpkin, but then you’ll have it all covered. 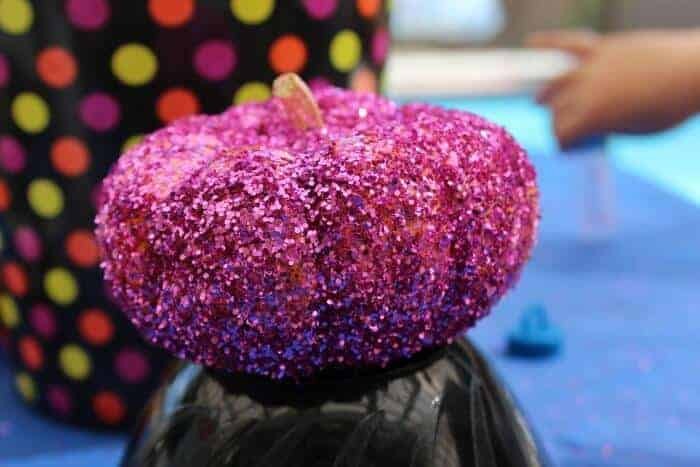 Viola, you have the most beautiful glitter pumpkin. 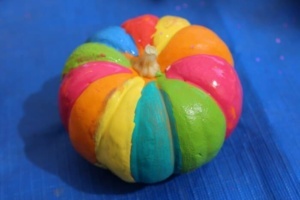 Some of our other favorite non-carve pumpkin. 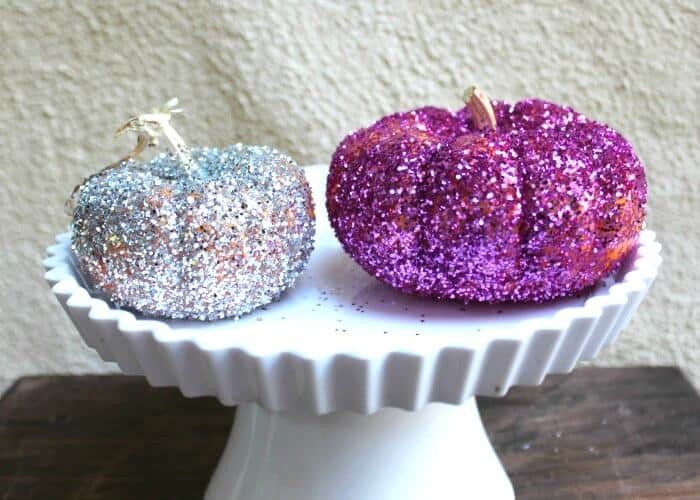 I love the glitter pumpkins! 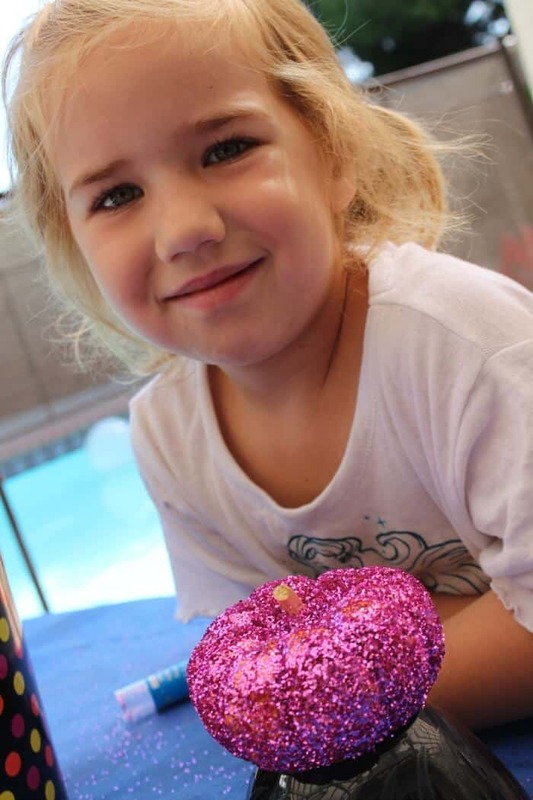 I didn’t realize I could use spray adhesive for glittering. I tried using school glue which turned out to be too drippy.